Feb. 9, 2016 - PRLog -- February 8, 2016 - New York, New York -- Company Barbell Pro Inc specialized in sports accessories is launching new knee sleeves made of quality 7mm thick neoprene popular among strongmen, weightlifters, crossfitters and other athletes, who would like extra support for their knees before, during and after the squatting workout. It can be used by both women and men. The neoprene material prevents pain and swelling during the workout. It keeps the knees warm therefore helping a faster rehabilitation of the ligaments, patella and muscles. Due to anatomical design it stays in place and does not slip down during the workout. It also easily fits on your knee. It is designed in a more narrow shape rather than curved to offer most support and rebound effect. > Improved Comfort - The contour design and cross stitching behind the knee allows comfort during squats. Four line elastic stitching ensures an additional durability and reduces slippage. > Recovery Relief - By increasing blood flow through compression with the 7 mm hypoallergenic neoprene, it helps to rejuvenate tired joints and relieve the knee pain associated with it. > Warmth & Optimum Shock Absorption - Thermal effect neoprene material allows for support and a soothing warmth. This knee sleeve is used during healing, rehab or injury pain prevention, it helps to soothe and protect against stiff joints and muscles. > Performance - It is the knee brace that will boost your performance while protecting your knee patella during your workout. > Support & Stability - Provides an adaptive level of stabilization for the knee and leg area during all sports, fitness and all heavy lifting activities. The contour design allows comfort and extended periods of wear. > Easy Maintenance - washable in the washing machine by turning them inside out and letting them air dry thoroughly, or sprinkle some baking soda over them and let them soak in overnight. 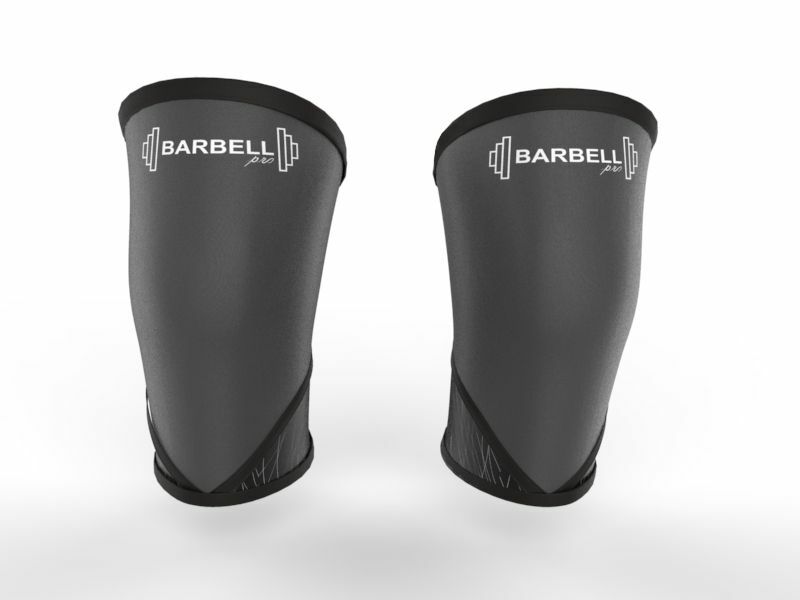 Barbell Pro team is announcing their new product, which is available through their store on Amazon (http://www.amazon.com/Knee-Compression-Support-Sleeves-Pa...) and corporate website Barbell Pro (http://www.barbellpro.com/). This new line of product will be out in the market first half of February 2016. Barbell team is committed to satisfying even the most demanding customers by helping weightlifters and fitness enthusiasts boost their performance goals and reach the top results, while providing over the top customer service and satisfaction guarantee. Barbell Pro is a team of people passionate about delivering the best products for the sports people especially for the knees before, during and after the workout exercise. Check out more on www.barbellpro.com or follow us on Facebook page.